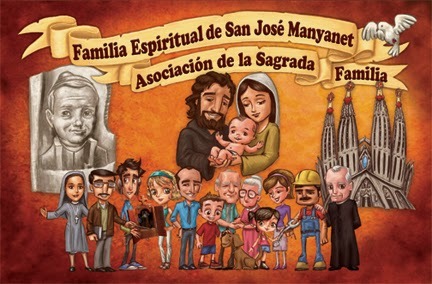 The Holy Family Association was originally established by Pope Leo XIII with the Apostolic brief Neminem Fugit (1892). The purpose and aim of the Association was to spread the devotion of the Holy Family so as to bring families ever closer to Jesus, Mary and Joseph. Pope Pius XI assigned the religious congregation of the Sons of the Holy Family the General Secretariat of the Holy Family Association in 1928. In the early 1920's, Fr. Salvador Gene, S.F., brought the Holy Family Association in the USA, establishing the Holy Family Monthly Home Visit in the Santa Cruz Parish, (New Mexico). 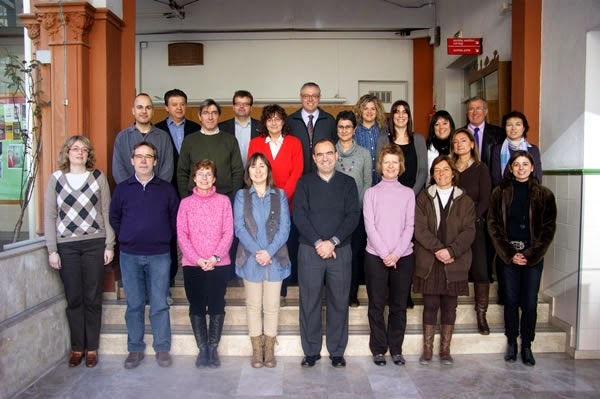 Each “Coro” (group of families) is formed by 15-30 families, which a “Celador” or “Celadora” (Custodian) appointed to be responsible for the organization of the Coro. This Custodian, with the help of all members of his/her Coro, is responsible for obtaining the Capillita, a little shrine consisting of a statue image of Jesus, Mary and Joseph enclosed in a fine finished wooden niche with a glass front. The Custodian plans a monthly schedule which enables each member family to be visited by the little shrine one or several days of the month for the family devotion. The family recites the prayers before the little shrine thus establishing a spiritual communion with the Holy Family of Nazareth, Jesus, Mary and Joseph, and with the whole Church. Recalling the examples of Joseph as worker, Mary as Mother, and Jesus as Son, prayers are made to obtain grace to live in harmony of thought, will and action. A special day is set in the liturgical calendar of the Church, the Feast of the Holy Family, during the Christmas season, when all the members of the Holy Family Association go to Mass to celebrate their patrons and to install new members. At this particular Mass, all the little shrines are brought to the parish as a symbol of the unity and togetherness of the families. On behalf of the Holy Family Association I want to thank you and congratulate you for the Holy Family Monthly Home Visit that you host in your parish. Some members of your parish attended the Advent retreat in .................................. on ......................, ....................., to pray and deepen in the Spirituality of the Holy Family. 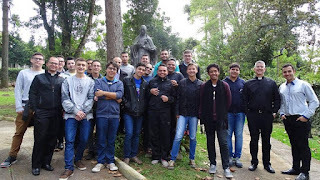 The retreat also served to reflect upon situations and family matters that deeply challenge and sometimes break the communion of the family. 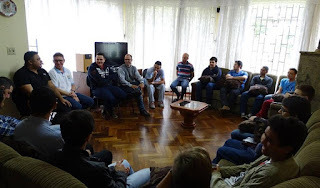 During the retreat some members of the Holy Family Monthly Home Visit asked questions about the celebration of the Feast of the Holy Family and their consecration to the Holy Family. I referred them to their pastors and told them to be available to you in whatever you need to prepare the Feast of the Holy Family in your parish. As you already know, the members of the Holy Family Monthly Home Visit consecrate themselves to the Holy Family of Nazareth. This consecration is renewed once a year on the Feast of the Holy Family. With this letter I also send you the consecration form in order to help you prepare this special celebration for families of your parish. God bless you in your task as a Pastor and witness of the Gospel. If you have any comment or question related to the Holy Family Monthly Home Visit or the Holy Family Association, I´ll be glad to share with you the information available. of the mysteries of the life of Jesus." 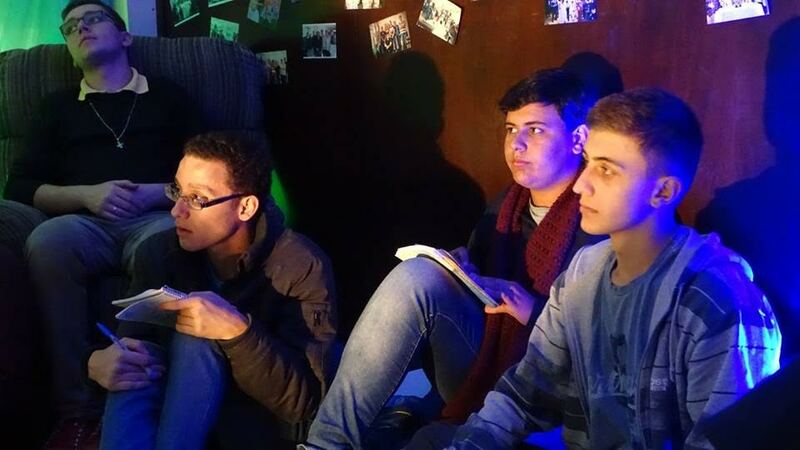 Christian formation and education always includes these four elements: PRAYER, KNOWLEDGE, CELEBRATION and COMMITMENT. 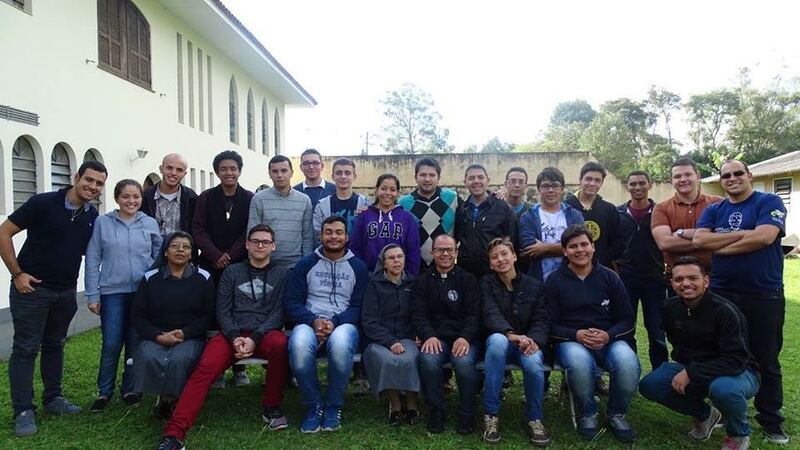 The members of the Association of the Holy Family take part in the mission of the Church contributing with its own Nazarene spirituality and prayer, receiving ongoing formation and carrying out projects of solidarity with families in dire need of help. 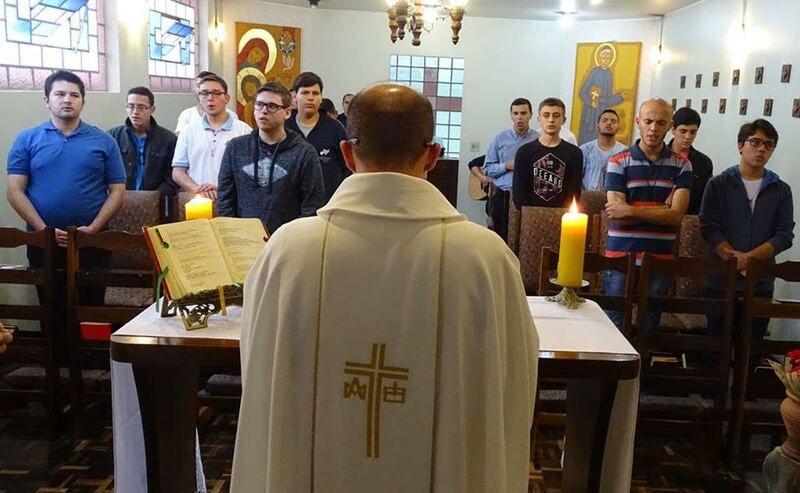 The members of the Association of the Holy Family are united by prayer, meditation on the word of God and the contemplation on the mystery of Nazareth. They experience their identity as baptized Christians through Bible study and the traditions of the Church, and they demonstrate their vocation as sons and daughters of God by serving first their brothers and sisters (families) who most need their prayer and help. In this way, the spirituality of the Holy Family transforms an area that is private and personal in to building a church of families where forgiveness, reconciliation and communion are stronger than the contradictions, failures, weaknesses and sins that separate us. The Holy Family of Nazareth has entered thousands of Christian homes through the Monthly Home Visit. 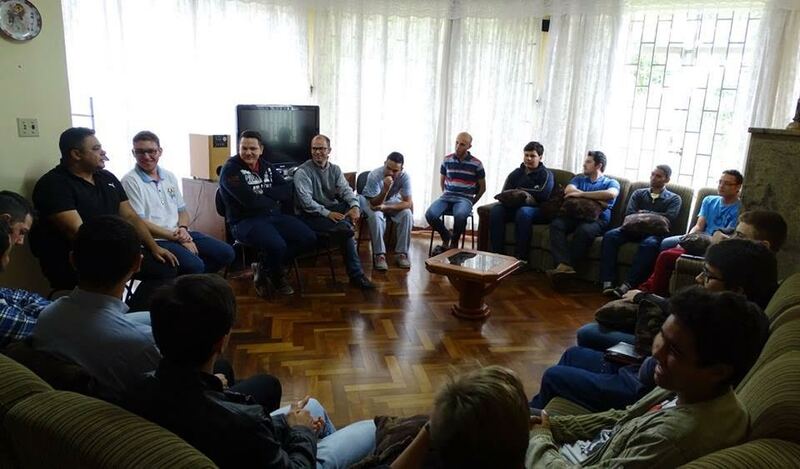 The Monthly Home Visit consists in a grouping of families who form a part of the Association of the Holy Family. The Holy Family little shrine occupies a visible place in each home where the members of the family gather to pray special devotions to Jesus, Mary and Joseph, for their own and other families, for the intentions of the members of the Association and of the Holy Father and the Holy Father. The members of the Monthly Home Visit form part of a contemplative group of families devoted to the Holy Family of Nazareth. They are formed in a life of prayer, of meditation and of Christian contemplation. In this way, devotion to the Holy Family will not experience the danger of being reduced to the repetition of words and private prayer. It is not enough for a Christian to be only a person of prayer because Christian prayer is nourished in an encounter with God and with the community. To better understand the spirituality of Nazareth, the members of the Monthly Home Visit participate in Advent and Lenten retreats. 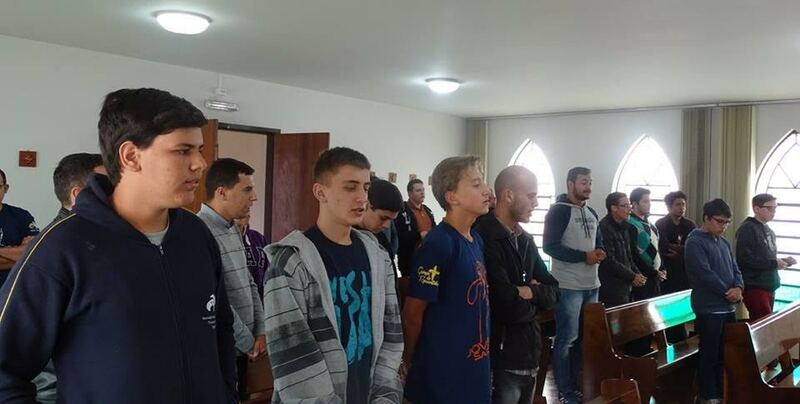 They are also offered spiritual direction and workshops on prayer and on the Bible. Each group of 10, 15, or 30 families forms a coro, or society, of the Holy Family. The coros are coordinated by a person called a celadora or celador (custodian). 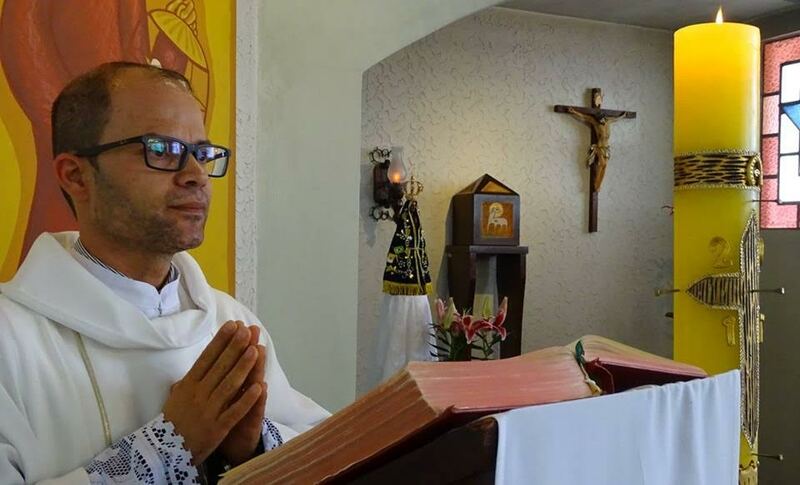 This coordinator supervises the travel of the little shrine to all the homes in his or her care, keeps up-to-date lists of the members and informs the members and the Spiritual Director of the activities, anniversaries and deaths of the members of the coro. 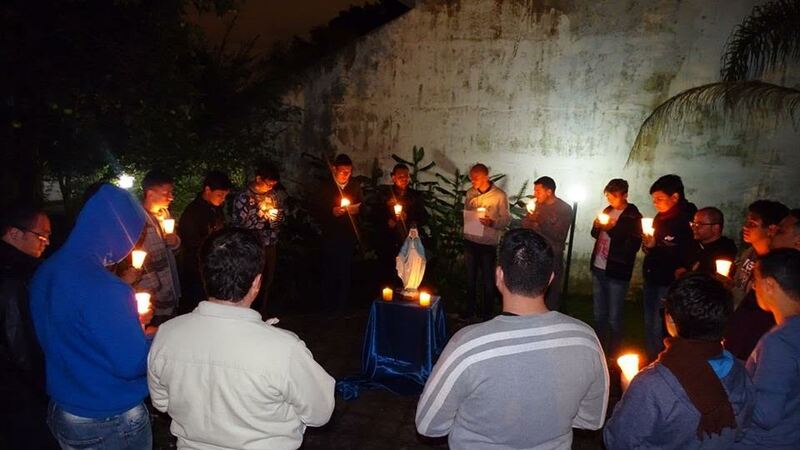 The Monthly Home Visit is a fountain of vitality in the Holy Family Association because its prayer maintains watchfulness and renews all the groups and members of the Association. Because of this, the members of the Monthly Home Visit should always stay informed and learn the work of the Association, especially that which requires the deepest urgency and attention on behalf of the membership. ● The Celadora is responsible for the Little Chapel of the Holy Family and ensures that it travels in a timely manner from family to family each month. ● The Celadora calls the members of the Coro for all retreats, activities and feasts of the Holy Family, including Mass and receptions. ● The Celadora locates the Little Chapel when a member reports that it is running late. ● If a problem arises in the Coro, the Celadora brings up the problem with the General Celadora. ● When a member dies, the Celadora calls the family and offers them the Little Chapel. ● The Celadora brings the Little Chapel for the Feast of the Holy Family. ● The Celadora coordinates the Coro to assist for the Feast of the Holy Family, or in any other activity or retreat in which the Coro is called. ● The Celadora collects money donations from the Coro. 1. Each Coro is formed by 10-30 families. 2. Among the families, a Celador or Celadora (man or woman), is appointed. That person will be responsible for the Coro, its organization and well-being. 3. To entitle the Coro, a Patron Saint may be chosen. 4. A day, two or three days of the month is assigned to each family. 5. A list of all members, phone numbers, as well as the day assigned to each family, is attached to the little shrine, for the general knowledge of the members. 6. 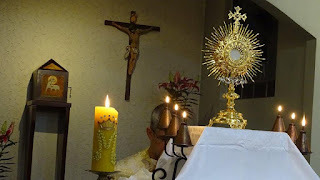 Upon receiving and dismissing the little shrine, the members make the Sign of the Cross, and recite the proper prayers. A candle is lit near the capillita while it visits each family. 7. Once a year, for the feast of the Holy Family, all the Coros meet together to consecrate their families to the Holy Family. All the capillitas are taken to the Chuch for Mass on that day, during which the families recite together the Prayer of Consecration. 8. 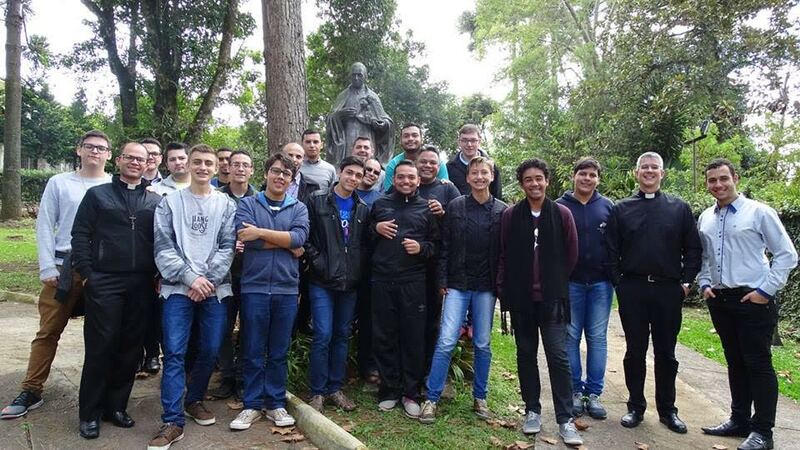 All the Celadores or Celadoras take up a collection that day among the members in order to support the needs of the Holy Family Seminary. The collection is given to the General Celadora. 9. 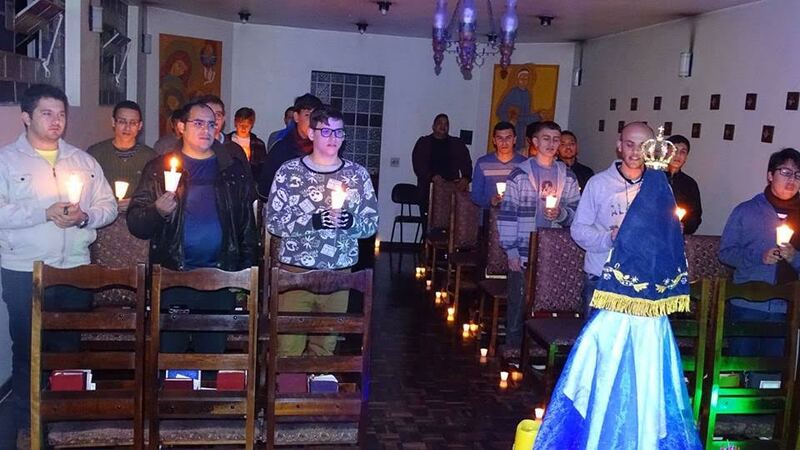 For the installation of the Coro, the Celador or Celadora will make arrangements with the General Celadora and with the Pastor of the Parish where the members of the Coro are registered. 10. When a member of the Coro dies, a Mass will be offered by the Coro. The celador/a sends a note to the General Celadora, indicating the name of the deceased member, and his/her age. A list of the deceased members will appear in the Newsletter. 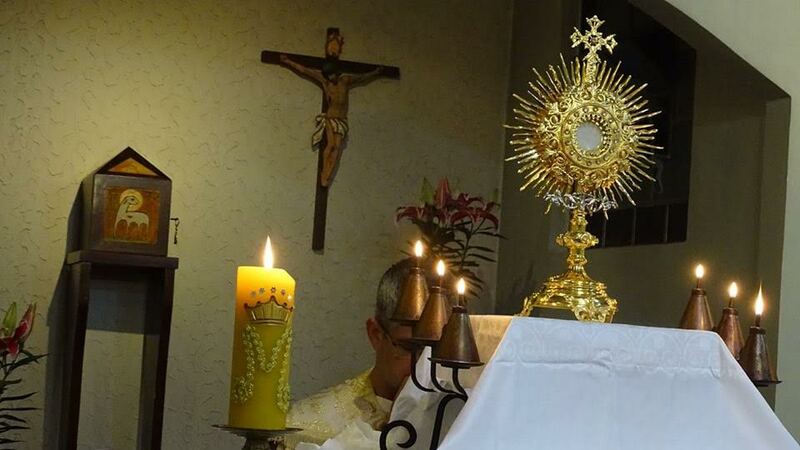 The members will offer themselves with the Celador or Celadora to pray the Rosary. The initial form of devotion to the Holy Family established by our first priests in New Mexico, USA, was known as The Monthly Home Visit. This consisted of a journeying statue of the Holy Family making the rounds of thirty families each month. It first began among the Indians of San Ildefonso and from there spread throughout the whole area. In time new approaches would develop regarding children and youth ministries and a truly Nazarene family life apostolate. The circumstances which brought the Sons of the Holy Family to the Spanish-speaking and Indian missions of New Mexico are providential. Fr. Salvador Gené had been living in the mining town of Durango, Colorado, from 1913 to 1916, working with a group of Theatines out of the Sacred Heart Parish. During this time he had been covering the southeastern missions of Mora, Santa Cruz and Las Vegas: all within the State most recently admitted into the Union, that is, New Mexico (1912). “In the town of Lumberton, New Mexico, (about half-way between Chama, New Mexico, and Durango, Colorado), the pastor was a humble and holy Franciscan, Friar Albert Daeger. His sole possession was a beautiful horse, which he nobly rode on his missionary rounds to the many and distant chapels that dotted the territory. Whenever the weather would turn bad and it became impossible to continue on, Friar Albert would drop in on Fr. Gené in the most unexpected manner. More than once, with the harness over his shoulder, he could be heard entering his convent-like dwelling, yelling in a loud voice, ´Fr. Salvador, would you happen to have a place for this ´burro´that has just dropped in?´ The people were very poor and money was scarce: so much so that very often he had to reserve the Blessed Sacrament in make-believe cardboard box ´tabernacles´ in some of his so-called ´chapels´”. As a consequence of Fr. Gené´s previous experience, Fr. 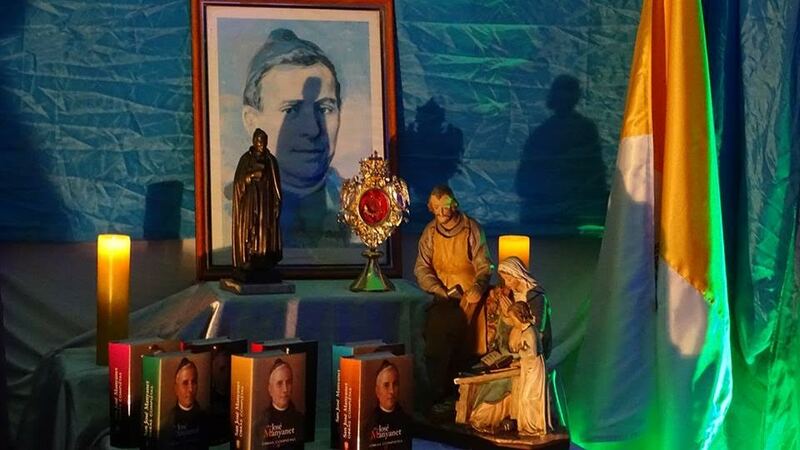 Louis Tallada selected him to head this first group and appointed him to be the superior, while Father Joseph Ruensa and John Massó acted as his counselors. Brother John Martorell, who also accompanied them, would help out in whatever way was necessary. Several days later, on 17 August, the little group of missionaries continued on their pilgrim way across this new land. Finally, on the afternoon of 20 August, they arrived in Santa Fe, tired and weary but no less for the wear and tear of their long journey. 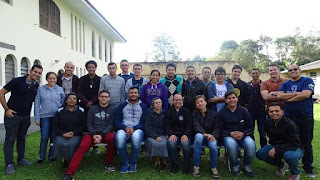 They were guests of the Franciscans at the Cathedral and there were received by the Archbishop, who explained to them his final plans regarding their continued existence and future apostolic work in the archdiocese. 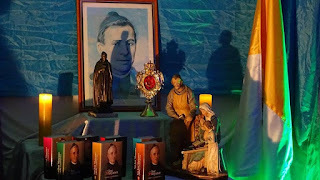 On July 25, 1920, the first Sons of the Holy Family embarked on their journey to the lands of North America. 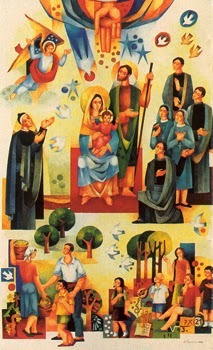 Here they would now establish themselves and carry out their Nazarene commitment to further the Christian formation and education of children and youth, as well as to renew Christian marriage and family life in the home through devotion to and following of the Holy Family of Nazareth Jesus, Mary and Joseph. Gathered in the School-Novitiate House of St. Andrew of Palomar, Barcelona (Spain), a solemn celebration of the Eucharist took place with Father Salvador Gené, the superior of the new missionary group, acting as the main celebrant and assisted by his two companions, Fathers John Massó and Joseph Ruensa. Following the Mass, there was exposition of the Blessed Sacrament with the customary prayers and then the imposition of the missioner´s cross on each member of the group by the Superior General, Father Luis Tallada. 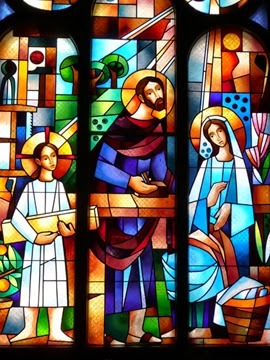 In his brief but inspiring exhortation he reminded each one of the sacred task that was being entrusted to them and of the good that would result to the Congregation and the Church because of the totally wholehearted sacrifice they were again making of their lives to the honor and glory of the Holy Family of Nazareth. He encouraged them to suffer willingly for Christ crucified all privations and hardships associated with a new life in a foreign land and to remain ever loyal and steadfast in their Nazarene dedication to the needed upbuilding of Christian family life in the home, in the school and parish, as well as in society. Moments before leaving the official residence of the Institute, each member of the group again bade farewell to his fellow religious and lifelong companions within an atmosphere of deep “family” togetherness. They were accompanied to the Barcelonian harbor by the Superior General and a few other religious. Just before boarding the ship “Montevideo,” again they embraced in a warm, final but hope-filled farewell. Soon thereafter the ship weighed anchor and began its ocean voyage that would take them to their new destiny with God´s family in a distant land. After arriving in New York, they continued on their pilgrim way until coming to the end of their journey: the dry and arid but enchanting lands of New Mexico. c. share responsibilities in our ministries. We can not consider them as mere “helpers” but as partakers in the same mission, for they too are called to be agents of evangelization. The insertion of the laity into our pastoral ministry is one of the most ambitious fruits of our ministry.